New May 2016 Beacon is On-Line! 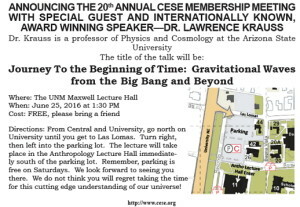 That's right, there's another brand-new edition of the CESE Beacon! The May 2016 Beacon (Vol. XIX, No. 1) is online. Contents Preview: Editor’s Message – Kim Johnson. – Read a comparison of teaching before and after the No Child Left Behind Act from our president, Lisa Durkin – How did we do on the PARCC exam this year? 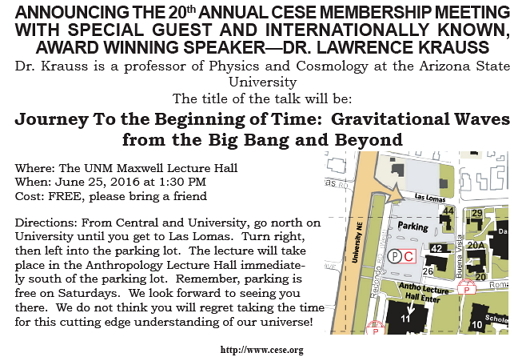 Some more data to digest -- Toons by Thomas -- In Memoriam: Dr. Marshall Berman -- and Announcing the CESE Annual Meeting with a very special guest speaker, Dr. Lawrence Krauss, the Director of the Arizona State University “Origins Project”.